Savage is gonna get you! SSDs or Solid State Drives have become the most popular upgrade for any PC system to date; if you have a SATA 3 or 6GB/s port, then your system is compatible to have one and what a difference they make! In all honesty, I can’t imagine a system being built in this day and age without at least 1 x SSD inside acting as an operating drive; my personal system has 3 x SSDs with all but stored documents which don’t need to be access frequently. Why are they so popular though? Well it goes back to what I said above, they are the single biggest upgrade you can put into a system; the difference in response times, operating system boot times and general seek times makes mechanic HDDs (hard disk drives) look prehistoric; HDDs are the CD of the optical media world, with USB of course being SSD….enough of my analogies! 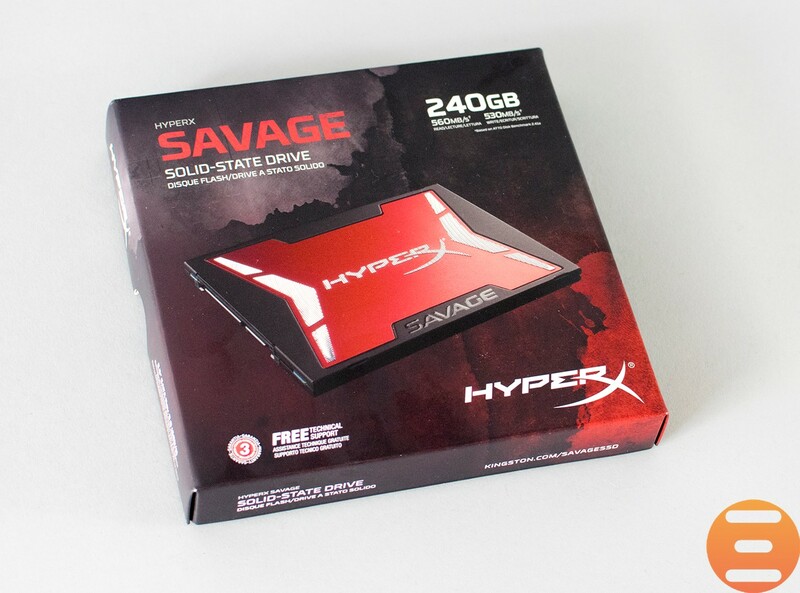 Today is the turn of HyperX to dazzle me and show me what advances they have made in NAND technology as quite frankly, their 2 previous drives I took a look at were pretty lacklustre and I have to be so negative; I have very high expectations for the drive they called, SAVAGE! 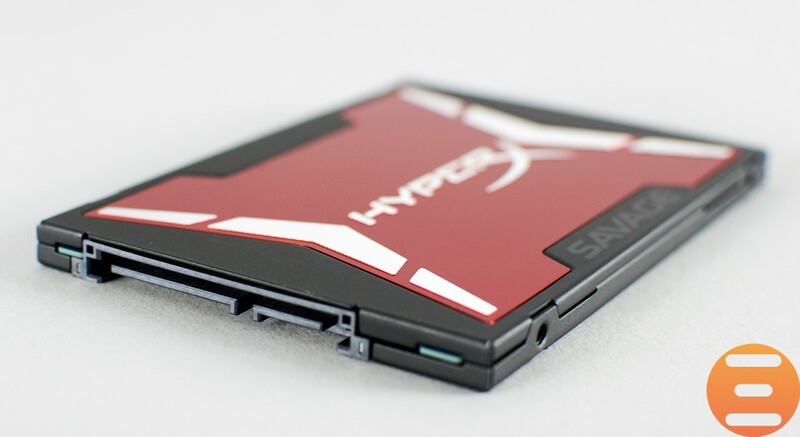 Yes, HyperX are the performance/gaming division of Kingston Technology who for years, have been one of the go-to companies for storage solutions and DRAM memory; HyperX Predator memory anyone? 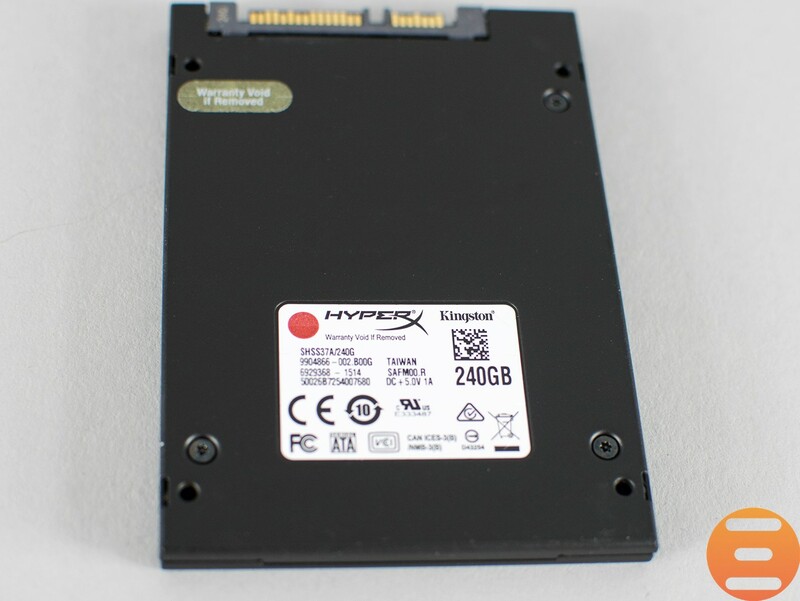 So today on the Intel Z97 (socket LGA 1150) test bench is the latest mid-range HyperX Savage 240GB SSD which is a step (positive I will add) away from the SandForce based controllers as this time round, HyperX have opted for Phison S10 4 core controller which features Toshiba’s A19 NAND chips; this drive shares the same controller as the Corsair Neutron XT which should scream volumes! 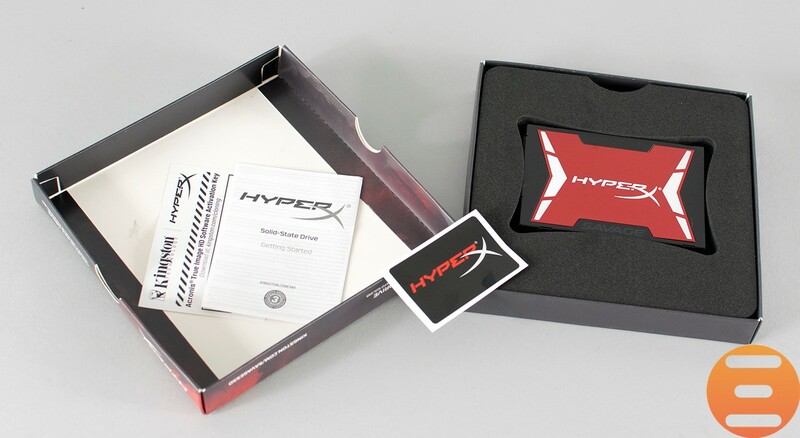 Packaging wise, HyperX have elected for the “common” SSD packaging which consists of 2 separate pieces of cardboard which constitutes a box; it is a nice box though in all fairness and the striking red and black rustic design works very well in my opinion. 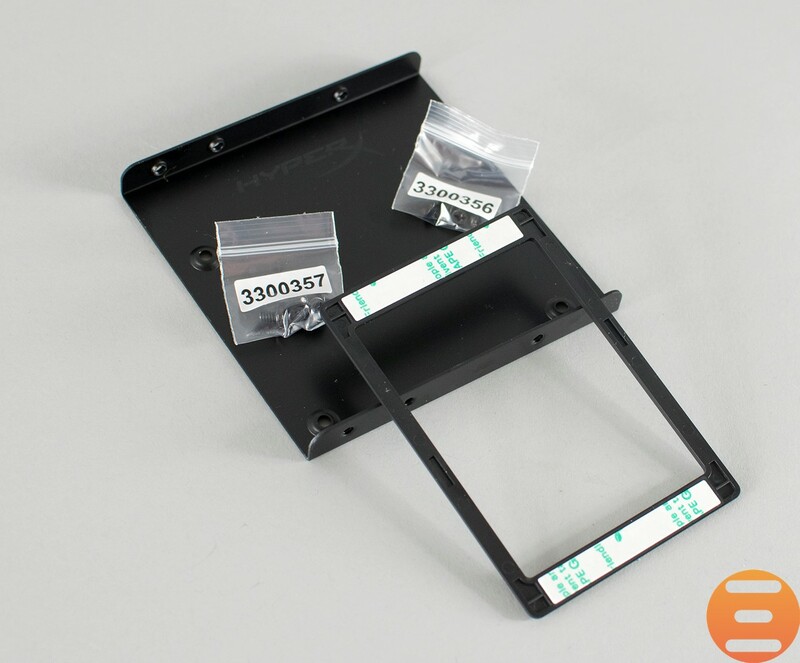 Inside the box, we have a couple of goodies which complement the HyperX Savage 240GB SSD which include a 2.5” SSD adapter (including screws) which allows it to fit into most 3.5” drive bays; also included is a quick-start guide, a HyperX sticker, an adapter (spacer) to allow the SSD to fit into some laptops/notebooks. 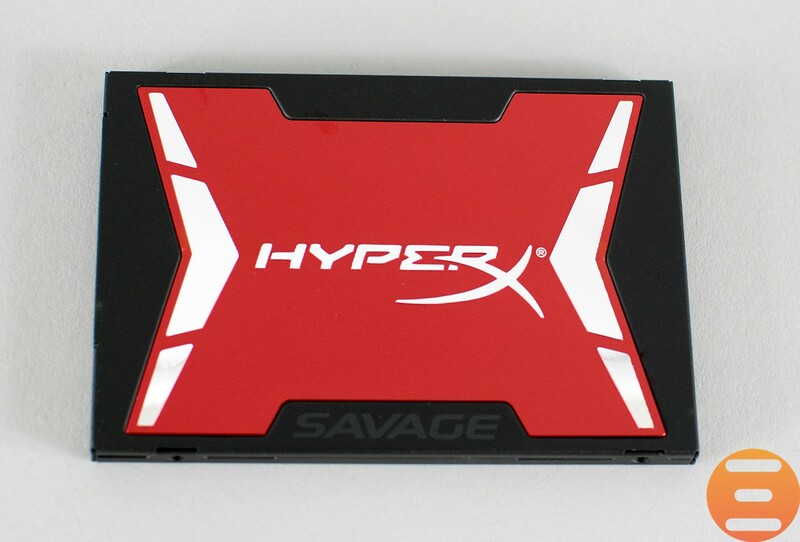 So looking at the cream of HyperX’s hard work, the Savage SSD features a very striking red X-shaped plate with the internal NAND components being encased in a metal casing; this drive is a SATA III 7mm form factor and weighs in at 96g which isn’t exactly light by any meaning of the word. What the weight does tell me though is that the casing is robust and upon holding it up and down numerous times, it looks and feels as premium as any other “top” drive on the market.